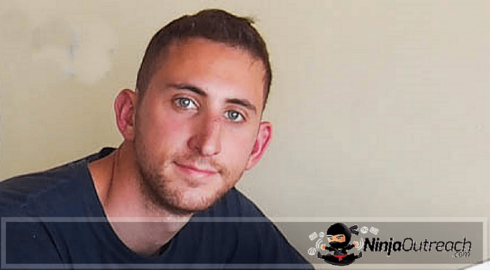 In today's podcast episode I interview Dave Schneider, the founder of NinjaOutreach.com. Dave started out with a travel blog, but was quickly able to discover that the best way to build links was through guest posting and outreach. As a result he started his own link building software tool in order to make the process easier and faster. That tool is Ninja Outreach. (I've personally started using Ninja Outreach for link building and outreach. The tool is easy to use and powerful. We have been able to prospect for links, quickly find contact information, and then email large amount of websites very quickly with all the built in features that Ninja Outreach offers). So, how did Dave build his business? He did guest posting and outreach! That strategy has worked so well, that his software business now does over $30,000 a month in revenue. Spencer:Hey, everyone! Welcome back to the Niche Pursuits podcast. I’m your host, Spencer Haws from nichepursuits.com. I’m excited to do another podcast here with you. It’s a guest today. We’ve got Dave Schneider from ninjaoutreach.com. Ninja Outreach is an outreach tool for people trying to build links, do content marketing and connect with influencers. Dave’s got a great story of how he started and I’ll let him tell his story but he started out with a travel blog and did okay there. He and his girlfriend had the opportunity to go backpacking across the world and we chat about that just a little bit. Then, he moved on to the software project which is Ninja Outreach. If you haven’t checked it out, I would love it if you use my affiliate link of course which is nichepursuits.com/ninja and it’s for anybody that has a website, a niche website, their own product, any type of business that they might have, that they’re trying to get influencers involved. It helps you prospect for influencers, reach out to those influencers and hopefully get links back to your website or mentions of your product. Dave dives into how he grew that business, how he found developers, how much revenue the business is doing now. It’s doing quite well, and some specific tips for link building and outreach that you can hopefully implement into your own website as well. I hope you enjoy the interview. Hey Dave! Welcome to the Niche Pursuits Podcast. Dave:Hey Spencer! Thanks for having me on. Spencer:Yup, absolutely. It’s great to have you on the podcast and discuss your business. I know you guys have grown quite a bit, and of course I’m talking about Ninja outreach in particular that I want to dive into. But before we do, can you give us a quick background on your business or work experience previous to Ninja Outreach? Dave:Sure! Previous to Ninja Outreach, I’m going to make a long story short here, although I’m only 29, it’s not that long but it’s too long for five minutes. Basically after university, I worked in a corporate office, financial services company as a business analyst. I worked there for two years in Washington, DC. My girlfriend was an accountant in the city. Both of us had dreams of backpacking around the world. After the two years, we had saved up some money, quit our jobs and went backpacking to Japan and a bunch of other countries for two years. During that time, we started working online. I was doing some travel blogging. We started a couple services in the travel blogging niche related to working with paid advertisers, doing a little bit of link selling, things like that, mostly just trying to get a taste for working online in that way. We did that for two years or so and started Ninja Outreach in mid-2014 and we’re working on it 100% ever since. Spencer:Awesome! Was the travel blog your first business online? Is that the first thing you did? Dave:Yeah, that was the first thing that we did. Spencer:What would you rate the level of success with the travel blog? Dave:I would say highly successful. I’m a modest person, to be honest. Travel blogging, in general, is not a money making idea. It’s an extremely saturated market. Many people try it, few people are successful with it. We did something a little different than everybody else and that was we focused very much so on how could we make money in the niche. We didn’t necessarily treat it as a long-term business, we didn’t see it as a long term strategy which is the one thing that I would say kicks it down a few notches in terms of how you might rate highly successful. We focused on how we could make money in the niche. We caught onto a few opportunities very early on in the link selling space. Advertisers and brands were really interested in working with travel bloggers and buying spots on their website, buying keywords, things like that. Once we saw that there was an opportunity, we thought about what are the limiting factors in this business, what are the limiting factors that we only have one travel blog. We started buying and building other websites, building up other blogs, expanding our network of advertisers and created a nice system of managing the whole thing. In the two years or so, we were able to do six figures and cover the entirety of our backpacking trip and beyond. Spencer:That’s excellent, man. That’s cool. You saw a need, you filled it, monetized it and had some success with it. I’m sure there’s a whole discussion that we can have on that but both of us know that Ninja Outreach is the larger business at this point so I want to dive into that. Go ahead and tell me a little bit about Ninja Outreach, your business right now. Dave:Sure. You want it on right now or more like history type thing? Spencer:Maybe give a little bit of history, maybe the genesis of the idea, that sort of thing. Dave:Sure! I can answer a little bit more the earlier question which was what happened in the travel blog and things. Early 2014, Google came out with some algorithmic changes that penalized that whole market, and essentially that market imploded. I didn’t really want to be focusing on that anymore, didn’t seem a good long term strategy. I was looking for other ideas, I was attracted to software because I felt like it was building a real product, solving a real need, helping real customers and connected with my, it’s now co-founder, I did a podcast episode with him, we were talking about what we thought the needs were in the marketplace. I have been on the blogger outreach side as a blogger because brands have reached out to me about working with their clients, so we were investigating the tools and the space to see what brands were doing to get this done. We felt like we saw some gaps in the market, namely that there were tools that could do outreach and there were tools that could do prospecting but there wasn’t a tool that did both. That was our idea. We’re going to be the only one blogger outreach software where you could prospect for bloggers and influencers and outreach to them all in one streamlined process or tool. We pretty much ran with that idea or tried to do some customer development, get beta testers, start a blog, do some content marketing, this is mid-late 2014, we launched in 2015 to crickets. Literally, I think one customer converted from the beta and at the end of the month of January, we had three customers and this is a $19 a month product so do the math. We invested six months into it but maybe this was stupidity but we didn’t treat it as a sunk cost so we said we invested all this time, let’s continue with it, we have the product, let’s try to sell it. We’re just kind of growing it every month, first month three customers, second month six customers and just going up and up and doing a lot of content marketing, influencer marketing to grow the traffic to the blog and then to convert them to customers. And now, we’re about two and a half years later from inception, we have over 500 customers and do a bit over 30 grand a month in revenue. Spencer:That’s awesome. That was something I wanted to dive into. Give people an idea of how successful the company is. $30,000 a month in revenue, new customers are signing on, I assume, so it’s continuing to grow, correct? Spencer:That’s awesome. It sounds like essentially early 2015 is when you launched it. It’s been about two years since you launched, not bad, not bad at all. That’s a great business. You have you and one partner, and then how many people are working for you? Do you have programmers or anything like that? Dave:Yep, we have three developers and we have nine people on the marketing staff. It’s a total of 12, all foreign, remote employees from different countries and then they have the two co-founders really active in the business. Spencer:What is it that helped you guys turn the corner, you think? Going from signing up three customers the first month, I know you mentioned content marketing and outreach, was that consistent? Was that just a slow steady consistent thing or did you see any big jumps for any particular activities that you did? Dave:It more or less has been slow and steady with the handful of spikes sprinkle throughout the last two years. Most of the slow and steady part was how we built the traffic to the website, a lot of content marketing. In the first year, 2015, I wrote 100 or more guest posts. We reached out to a lot of influencers about doing product reviews. We reached out to everybody, anybody that we thought could even talk about us. We weren’t picky about how big is your audience and things like that. We were in a position of having no authority, whatsoever. We went out to the marketplace to see what if people were receptive and they were and put in a lot of effort to produce content, work with them. Over time, that adds up for the growth of traffic. Now, while that’s going on simultaneously, there were a few bigger events. We did a launch with AppSumo in late-2015 which did well, I feel like also got ourselves out there. We’ve increased our prices twice now. We went from $19 a month at the beginning to what we’re now $49 a month, that’s the lowest plan, we have higher plans or so. The pricing has gone up, we’ve done some split testing, conversion rate, optimization type stuff and improving the onboarding. There isn’t one thing, I know you know this better than anybody, there’s not one thing that triggered business growth as much as constant effort to make sure that there’s something coming in the funnel and then always thinking about optimization and things that we could do to improve it. Spencer:Yep, absolutely. I’ve seen things similar with my business Long Tail Pro. It’s a lot of work day in and day out, over time, things continue to grow and the effort that you might put in, whether it’s content marketing or outreach or whatever. A couple of months ago, you might start to see some of those sales down the road, it takes a lot of work to grow out the business. While we’re talking about content marketing and you mentioned you wrote a hundred guest posts in a short period of time, what was your pitch? For people listening that maybe have their own software company or are just trying to reach out for other reasons, what do you say to somebody that you really don’t know very well and essentially saying, hey, can I do a guest post? Or generate some other content marketing deal there. Dave:It’s not that complicated. I think what scares people the most is the idea about reaching to someone they don’t know and maybe bothering someone or being rejected, those are the things that I think delay people from trying. But at the end of the day, most people are interested in having quality content on their blog and they’re willing to provide a spot to somebody else who is going to write that quality content if the pitch is personalized and relevant with the exception of big names that don’t do that type of things, a lot of people are receptive to it. We identified the influencers in the marketing niche. We read their blogs, we would think about what content would perform well on their website by looking at some of the history of their content and so we pitched some personal stuff, some personal titles. We always try to offer additional things like the product for free or an affiliate, be an affiliate for us or different things that they could get additional value beyond the post. The combination of all those things led to a high success rate. The limiting factor was not the opportunities and never has been, it’s just been being able to write enough articles to fill them. Spencer:Here’s maybe a soft ball question but how did you find all these people to go and pitch? Dave:Ninja Outreach did play a large part in that to be completely honest. We have been using our tool since day one. It has a contact finding capability which I find to be a huge timer and then obviously it has a search engine and things like that. It’s important to eat your own dog food, to play with your own tool and understand where are the plusses and minuses of it so you get that feedback loop to use. It wasn’t just Ninja Outreach but that’s been a major tool for us. Spencer:For people that haven’t used Ninja Outreach or don’t know exactly what it is, we talked about it but can you explain and a little bit more depth what it does. For somebody that has a blog or a niche site or a software product, what does Ninja outreach do? What are some of the features there? Dave:Sure. The first thing to understand is influencer marketing and how that marketing channel can fit into the overall marketing strategy. The basic concept there is there are influencers online like yourself who have large audiences and maybe interested in working with other brands or businesses to promote what they have to their audience so that they can make a commission and provide value to their audience and everybody is happy with that scenario. Ninja Outreach is a tool to help you run those campaigns more efficiently. The major bottlenecks in writing those campaigns is how do I find the influencers, how do I get a list of them, how do I make sure they’re relevant, how do I get contact information and then how do I outreach to them, how do I manage that? Ninja Outreach is that tool. It’s a search engine but it’s tailored to marketers as marketing data that people would be interested in somebody’s domain authority or location or things like that. It’s a CRM so it’s a way for you to organize influencers in the different lists depending on the campaigns that you’re looking to run. It’s an outreach tool because you can integrate your email address and then send people emails and pitch to them. That’s the process all in one. Spencer:One of the cool added features that I like is the email templates that are in there. You can draft up your own emails and have custom text, fields, it can insert people’s domain names or whatever, there’s a few different options there. If you find 20 or 30 influencers in your market, you’re essentially sending them the same email but it will input their domain or whatever so it personalizes it a little bit. Found that to be a big time saver. It has a cool feature there as well. I take it that you had a finance background, you’re not a software developer, how did you go about finding a programmer to help you build the tool in the first place? Dave:Very good point. I took an introductory computer science class in university which taught me, believe it or not, a decent amount, not enough to build a code software, I would be a complete hazard if I was coding software but enough to have a conversation with the developer and understand what they were talking about and have a bit of the basic knowledge. At the end of the day, I know I need a developer and we’re going back now to 2014 and how I want to start a software product but have no business starting a software business. I got lucky. I know it’s not the answer everyone wants to hear but my partner, Mark, who I had done the podcast with had a developer friend and we brought him on board and it was just three of us in the beginning. He basically built the first prototype. Later on, when the need for development increased, we went on to Upwork, formerly oDesk, and put out a job listing. And then, we had the developer that we had interview the applicants to understand who is the most qualified. Since then, that applicant who has now become our full time lead developer has now interviewed the other two people that we’ve brought on. I was thinking I’m going to teach myself to code and I don’t even know where to begin with this and I was able to find someone in my network who could get us to the first step and then, from there, leveraging this person’s knowledge and expertise to interview and find the next developers to join the team. Spencer:It makes a lot of sense when you’re not a coder yourself, that can be a huge hurdle for people but I’m not a coder, you’re not a coder and both of us have been able to build software companies. For people listening out there, it’s definitely doable. You might have to jump through a couple of extra hoops but it’s very possible to find somebody good to add to your team to build out your vision, to build out your product for you. Listening to your story, other than it had a slow start but it sounds like it fairly, consistently grew after that as you continued to work on it. I don’t want to give people the idea that this business has been easy and that everything’s been great. What are some of the challenges that you guys have had along the way? Either something that didn’t go as planned or things that worry you about the business? What are some roadblocks that you guys have run into along the way? Dave:Had a lot, have a lot, will have more, I’m sure. I can’t even think of more mistakes we could’ve made. I feel sometimes you just do everything wrong. Maybe this is what everybody’s experience is like when they do their first business in a niche or an area that they’re not super experts in which is the case with me in software. Firstly, comes down to mainly the product. The first product that we launched was a desktop application. In 2014, it didn’t hit us on the head that a desktop application wasn’t the way of the future but after a few months it became clear that people in the niche didn’t want that. Additionally, it was a desktop application that only worked for Windows users. This stuff sounds crazy nowadays, anybody who is listening at the time, I didn’t think anything of it. I had been a Windows user, all my friends had used Windows and I assumed that Mac users were a small minority, like 10% or so of the marketplace. They ended up being significantly larger, like 50-50. We had this desktop application that half the market couldn’t use, that the other half could use, that didn’t really want to use it. We only accepted PayPal, we couldn’t accept credit cards. Again, I just thought that everybody had a PayPal account and it wasn’t a big deal but later on I found out that some countries don’t allow PayPal, that a lot of companies don’t work with PayPal, they want credit cards so we learned that stripe was a thing. There was a lot of poor decisions that were made because we didn’t do the research. We were thinking about features, what features do people want, what features do the competitors have, I never thought about what is the payment processing gateway we should use, what percentage of the market uses Windows, what uses Mac, how are people comfortable paying? That early on lack of customer development really set us back because we had to redo everything once we got going. When I said that we only have three customers in the first month and six in the second, we didn’t have the budget to really, this all came out of savings. We just had to hire a developer and throw a bunch of money at them to fix the poor decision making that we had made. This is a bootstrap startup by the way, always has been and probably always will be. Those types of things, you lose a lot of time by making the wrong decision and you’ll lose a lot of money. It’s a hard lesson to swallow but I think everybody has something. I’ve read your story about the developer and the code and the IP issues so I feel like you’ve been there one way or another. Spencer:I think both of us, you start to learn the ropes as you go, if you will. When I started, all of those things you just brought up and more are things that you don’t think about a lot of times. If it’s your first product, you think about the features, what problems are you solving that can help customers out, and that’s key but there’s all these other peripheral things that you don’t think about that can stunt the growth of your business a little bit. As you discover them, and luckily, you guys were able to pivot and change and include those things that you needed to include that you’ve been able to grow the business. For some people, maybe they don’t have the extra savings and that could kill their business if they don’t do it right the first time. It’s good to hear that not everything was rosy for your business, maybe encouraging for people listening out there that are going through some struggles right now in their business. It happens to everybody but if you’re able to overcome those and hopefully continue to grow your business, you can have success down the road. At this point, I would like to dive in a little bit into specific tactics for link building for somebody building a niche site. Pick any topic you want. Say somebody’s building a niche site on dogs or pets in general or something. What’s a link building strategy using Ninja Outreach that you would recommend? A specific, not just general, they should outreach to tons of people, but is there some specific strategy that you would recommend to employ? Dave:Yes, there’s a couple ones I like to recommend. One of them is the competitor’s link building strategy. I got to work on my nomenclature, but basically where the combination of using Ninja Outreach in a backlink checker like Moz or Ahrefs, you can take the competitor website or a group of competitor websites, put them into a tool like Moz or Ahrefs to get their backlinks and then input. The problem is those tools don’t give you the contact information, they’re not outreach tools. Now, take that backlink profile and import it into Ninja Outreach and we’ll go out and we’ll find the contact information and then we’ll allow you to basically outreach to them. The strategy is to approach those websites who linked to your competitor and there could a variety of things you might want to say, you might want to get a guest post with them, you might want to see if you can get your link to replace your competitor’s link, or your resource to replace your competitor’s resource. That’s a simple strategy that can work where you’re targeting people that are relevant because they’re already linking to your competitor. Those backlink tools, although they have paid plans, you can get a lot of information for free just by using open site explorer, that’s Moz’s one, put in a URL and then you can export the backlink. That’s one thing that I might mention. Another thing, the opposite effect might be the content marketing type of thing. For example, running an expert round up or bringing influencers in the content that you’re writing. If you can identify some people who are influencers in the space, inviting them to participate and say an expert round up or participate in the content that you’re writing or appear on the podcast that you might be doing. Those types of things are done easier with Ninja Outreach because we have the search tools so it’s quicker than searching through Google and it’s a bit more relevant. We have the contact information and then the easy transition to outreach makes that process shorter. Spencer:Yeah, absolutely. Awesome! Good tips there. Do you have any idea of what type of conversion rate people should expect? If they reach out to a hundred people, how many are going to respond? And how many do you think will end up getting a link from? Dave:That depends on the niche, the quality of the template that you send out, the quality of the people that you’re targeting and what you’re asking for. If you’re asking for a guest post or if you’re asking to feature someone in an expert round up, those things tend to be pretty high. Those would be 20%, 30% of people will say yes and things like that because people like the free content, they like to be featured. If you’re looking for somebody to replace your links or replace someone’s links with yours or link to you in general, those tend to be pretty low, single digit type percentages. But in certain niches, a couple links can help make a difference because it’s not a lot of links and it’s hard to get them but that barrier to entry is what would separate you from the other people that have none. Sometimes the harder it is to get a link, the more valuable it is when you get one, it’s a bit of a quality not quantity issue. Spencer:Absolutely. I will just add my two cents here. When I think about link building strategies, for example, there still are a lot of people that are out doing things that are more grey hat, black hat, whatever you want to call it, building out private blog networks and things like that. Back in the day, that was popular and that seemed like an easy way, you get your guaranteed link but it seems now with tools like Ninja Outreach and other methods, it’s so much easier to reach out to these people and get a guest post or other basic strategy to try and do some very white hat link building that you can almost just as easy and as quickly get a high quality link as you would spending all this time building out a PBN and making sure Google doesn’t find it. That’s just my two cents, I don’t know if you have any thoughts on that but it seems like with tools like this and being able to stay in Google’s good graces, it makes sense to do the outreach, to do these more white hat link building techniques. Dave:I agree. That’s the way that we promote it. For me, the white hat is the way to go but everybody can make a decision themselves. What can I say? Spencer:Absolutely. Before we go here, do you have any final tips? Either for link building strategies and how people can use Ninja Outreach or for business in general. Maybe anything that you’ve learned along the way in building out your business, things you’d like to leave people with. Dave:Yeah. I think maybe the answer to both those questions is patience because patience has been the key for us in business. If I had listened to any of the signs, I should’ve quit a long time ago, I should quit right when we launched the application in January of 2015 and nobody signed up for it. We should’ve said okay, pack my bag. Let’s go and do something else. But had I done that, we would’ve missed out on what’s been a really interesting journey and now it’s a more viable business that I never thought we’d even get to where we are now. Even on link building, when you talk about individual strategies, often people sign up for Ninja Outreach and they’re expecting something quick and easy because they got this tool and everything like that. We always try to say that while Ninja outreach is going to help, it’s going to make it quicker and more efficient, but it’s still an investment, it’s still marketing. You have to be willing to do the prospecting, to curate the list and QA the email addresses and the first names, do the personalized outreach. The end result may not be that much but if you’re willing to stick it out and put in the effort, I do think that you can come out on top. I’m just going off of personal experience. I wrote a hundred guest posts in 2015 and the individual result of any of those was not that much but here we are, something must’ve worked, right? Spencer:Absolutely. Great business advice in general. I completely agree, patience. Things don’t happen overnight for most of us. Great tip there. For people that are interested in checking Ninja Outreach, I would hope that they would go through my affiliate link, it’s nichepursuits.com/ninja and they can check that out and see what the tool is all about. Dave, before we leave, if people want to get in touch with you or follow along with what you’re doing, how should they do that? Dave:They can send me an email to [email protected] and I’m pretty active on the email side of things, I respond to everything just say hey, just say I like the podcast. You want to talk shop, all that good stuff. Spencer:Perfect. I encourage people to do that if they want to stay in touch with Dave. I appreciate your time very much and for coming on the Niche Pursuits Podcast. Thank you for this podcast. I already asked the question on the other posts but I didn’t get an answer. Maybe I will on this one as it is more recent. When do you plan to give us the January and February update for niche site project 3.0? Hey, should be released tomorrow (still waiting on one update). Hey Spencer – thanks for featuring me on this podcast. Been a long time follower this this was really cool! Of course, love seeing the success of your business! Do you accept bitcoin as payment beside PayPal ? I’ll have to leave that for Dave…I’m not sure.